Irene Abdou Photography, LLC is a boutique portrait photography studio located in Germantown-Clarksburg, Maryland, and serving the Washington DC metro area, from Leesburg to Arlington to Annapolis, Frederick to Gaithersburg to Baltimore. Our award-winning photography of babies, children, couples, and families has captured the hearts of DC-area residents for the past decade. Your photographs won’t be just pictures to you. They’re your memories. And that’s priceless. 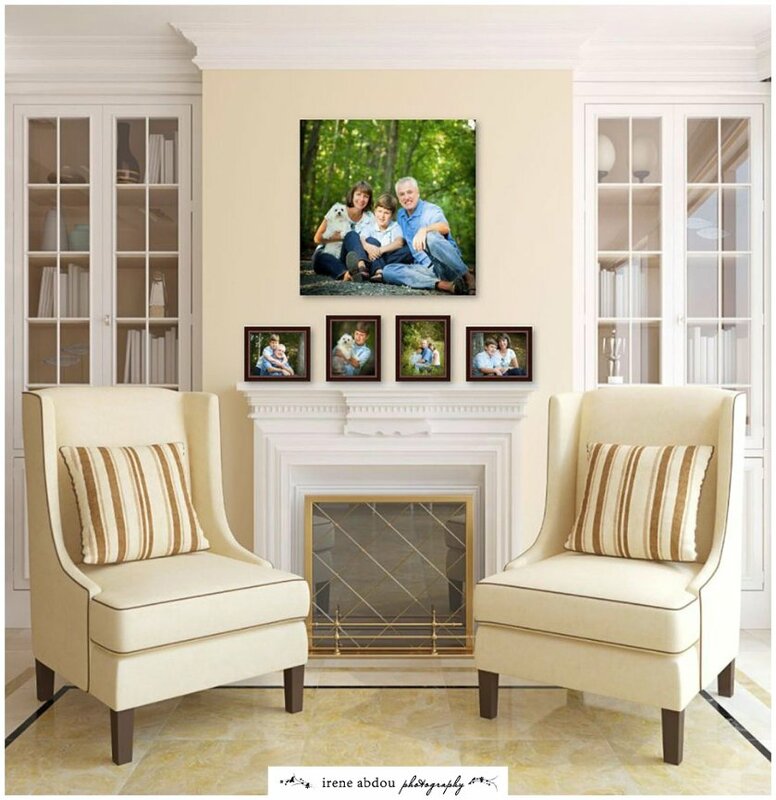 We believe that a photograph is only as beautiful as the final display, and that the best way for you to enjoy these memories day after day, generation after generation, is through timeless, heirloom wall portraits and other custom artwork. That’s why we offer to each and every one of our portrait & wedding clients a special in-person design consultation, where we can discuss and make recommendations on the images, sizes, and display options that are most suitable for your unique style. Read about “room view” and home decorating with photography here. We’ll help you every step of the way, resulting in a custom-designed set of artwork that will fit perfectly into your lives and provide you with lasting joy and memories. And if these three words are as important to you as they are to us, then let’s chat about how we can help you.